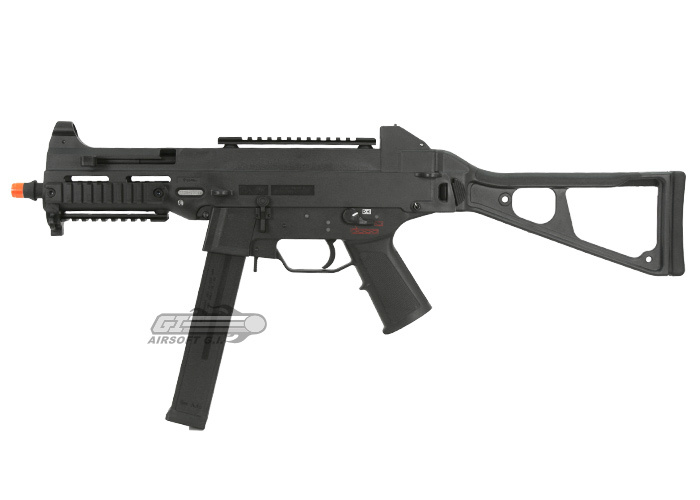 This is the latest G&G UMG. The Version 3 UMG is the most up to date model UMG from G&G, all the kinks are worked out, all weak points reinforced, its everything you've been waiting for. Just by looking at the box you can tell that G&G put time in to developing their products. 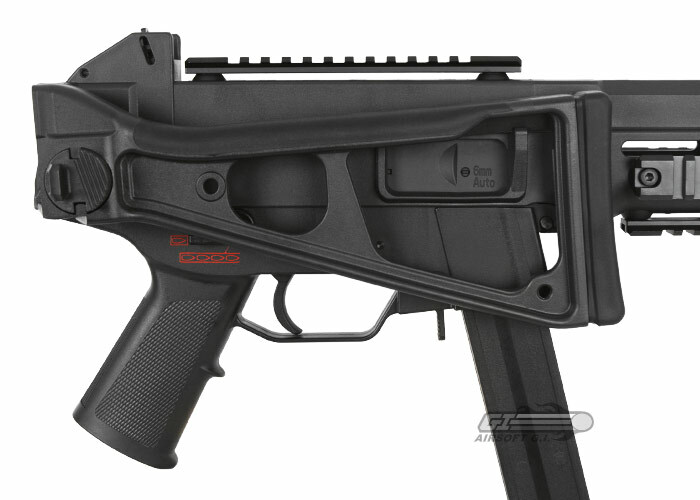 First the exterior; the finish on the plastic is a dull dark gray, complimented with G&G's serial number and engravings, as well as caliber engravings on the magazine. 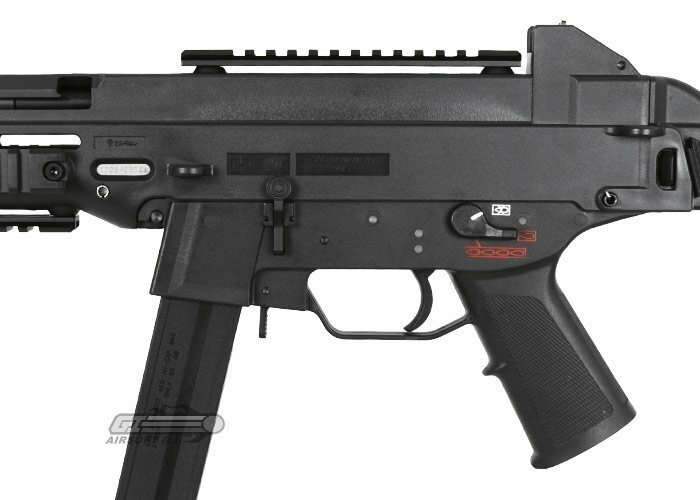 The selector paint is a bright red and white and clearly visible unlike the the semi-orange color like some other guns. 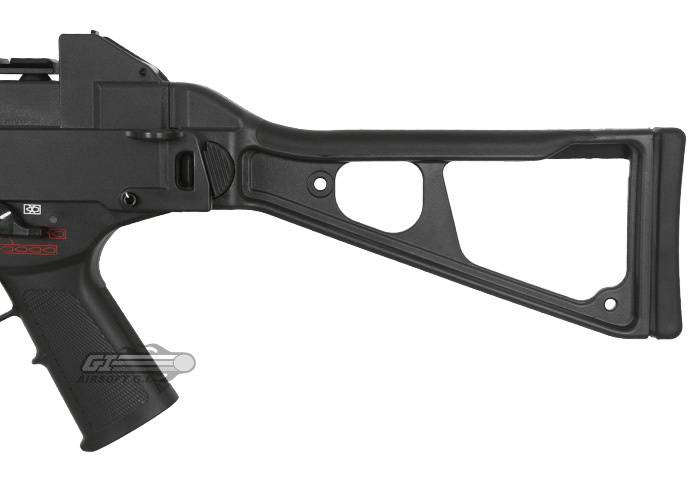 The folding skeleton stock is sturdy in both the folded and unfolded positions. 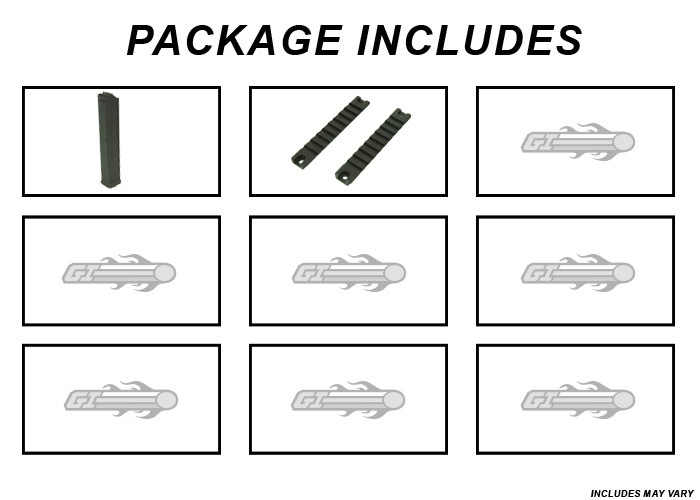 The rear iron sight is fully adjustable for different lighting conditions, distance and windage. Finally the top rail and front rails provide great platforms for accessories to aid the user in battle. 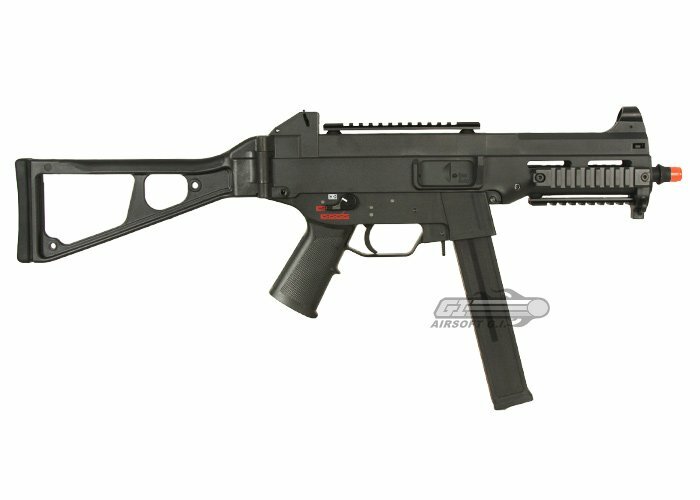 This is the airsoft SMG to end all SMG's. 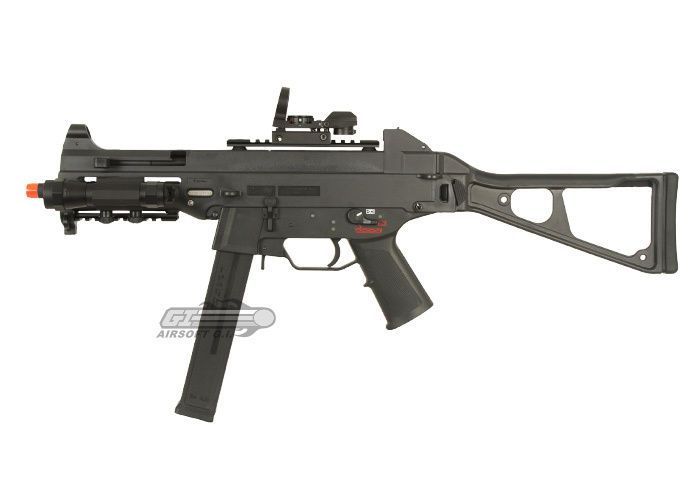 IT DOESN"T COME WITH A BATTERY, but Its amazing, lightweight, and it's beast when you put a foregrip on it. Not so easy to field strip all the time, because a black rubber thing on the bottom of the hop up gets in the way, but thats easy to fix. 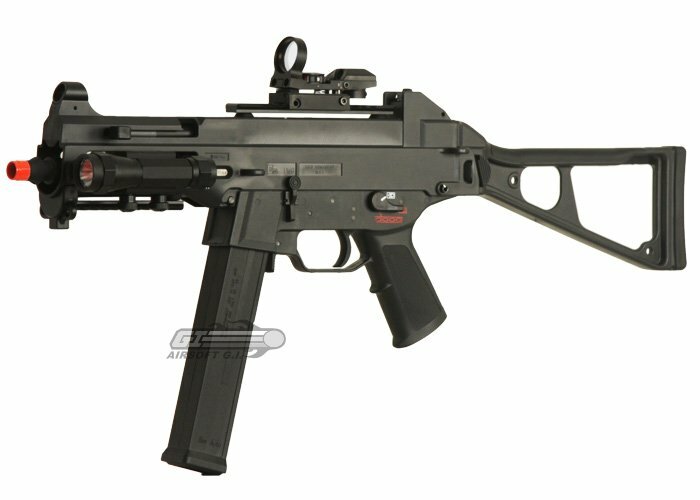 great for CQB, and quickly going around corners. It said that it would come with a 50 rnd clip, but it came with a High-cap 530 rnd clip. good range, and its even better when its scoped. Just got this gun about a week ago. First cqb match went good. I bought the gun and then bought the airsoft gi custom 9.6v battery. really good battery, but hard to get in. 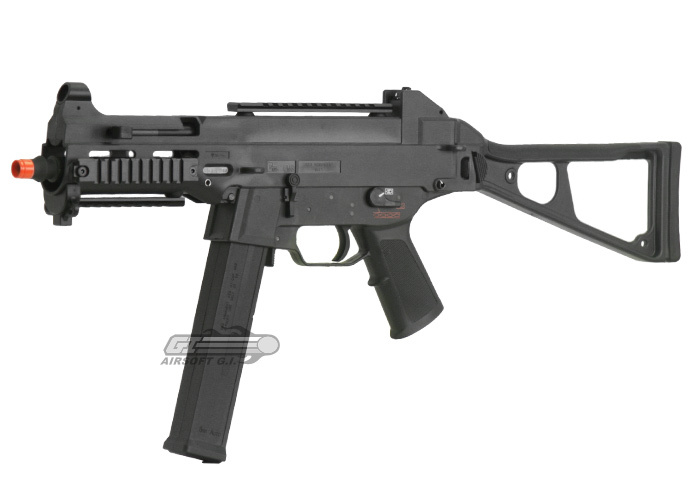 the gun feels really good, awesome rate of fire, light weight, great foldable stock. Good iron sights. The only problem i had is that, like the guy below me posted, there is an over active hop-up. this gun is poop for anything past 40 feet. However it is a close quarters combat gun so you shouldnt buy it for that anyway. With the hop up all the way off, it still curves it pretty good after about 35 feet. This gun is just amazing! I took it out of the box and when i picked it up i just felt the quality. The body is almost all plastic but it doesn't feel cheap, it feels very solid. 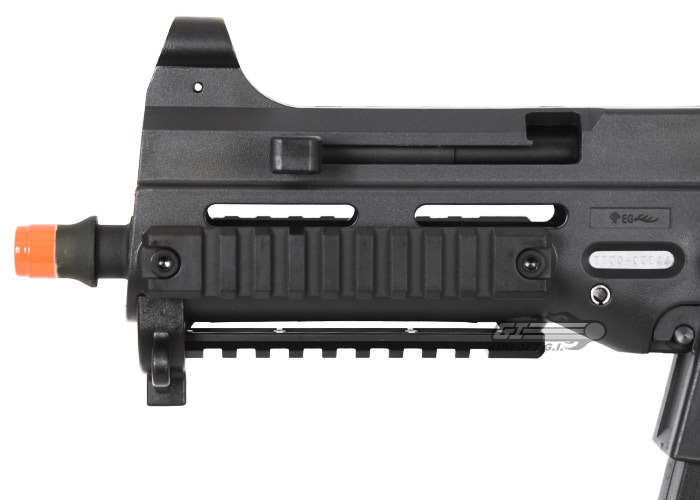 The magazine clicks right in with no wobble and the functioning bolt catch is a really cool feature to have. 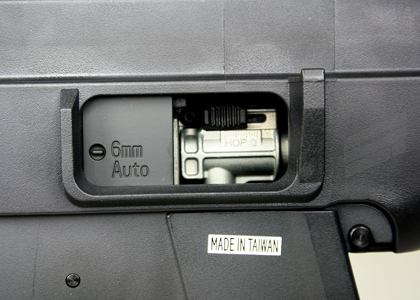 G&g even went to put things like the 6mm auto engraving on the bolt. I bought a asgi custom umg battery and at first it didn't fit. So i disassembled it (which was a breeze) and dremeled off the lip on the left side of the battery cage. But after that the only way the battery would fit is if you put it in wires first. Just extend the wires to reach the connector and you're good. 9.6v custom wont fit without modification but even after the wires aren't long enough. Overall great gun and i do not regret buying it.